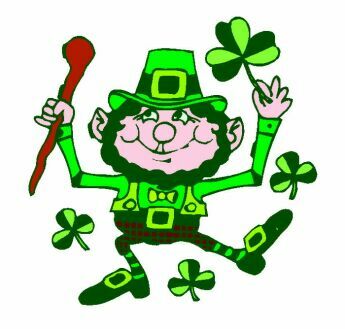 Our St. Patrick's Day Fun Event was a pot luck lunch where everyone brought in something or paid $5.00. Donna Roberts and Gloria Brown oranized the food with help from Pinky Palladino and Kathy Corona in the kitchen. Every one dressed up in their "Irish for the day" outfits. Jack Bucey was our game master. When we arived there was a bowl at the end of each rink at about the 2 metre mark. Each member got to roll one jack to the pre placed bowl. The object of the game was to have the closest jack to the bowl. A measurement was kept to determine the first and second place winners. 1st was won by Ken Paddock and 2nd went to Dee Press. The main games were double or triple games where the score was obtained by using a yard stick on a tin can. That way both teams could win points. 1st Place was Rich Purcell and Debi Wilson with 30 points. 2nd place was Art Roberts, Andy DiConti and Peter Nicholas with 26 points. 3rd place went to Herb Smith and Jack Bucey with 25 points. Fabulous prizes were awarded to all winners. Through out the day we were entertained by lots of foot stomping Irish music. We had a great turnout with most rinks full. With guests we had about 43 for lunch. We feasted on a great pot luck variety. There were several desserts plus lemonade to drink. 2nd place winners for high points in the tin can game. Every one was Irish on this day.